If any city knows how to throw a celebration, it’s New Orleans. After all, we have plenty of practice. Especially at the end of the year, during holiday season we don’t mind the extra efforts required to make everyone happy, well-fed and properly served with adult beverages. 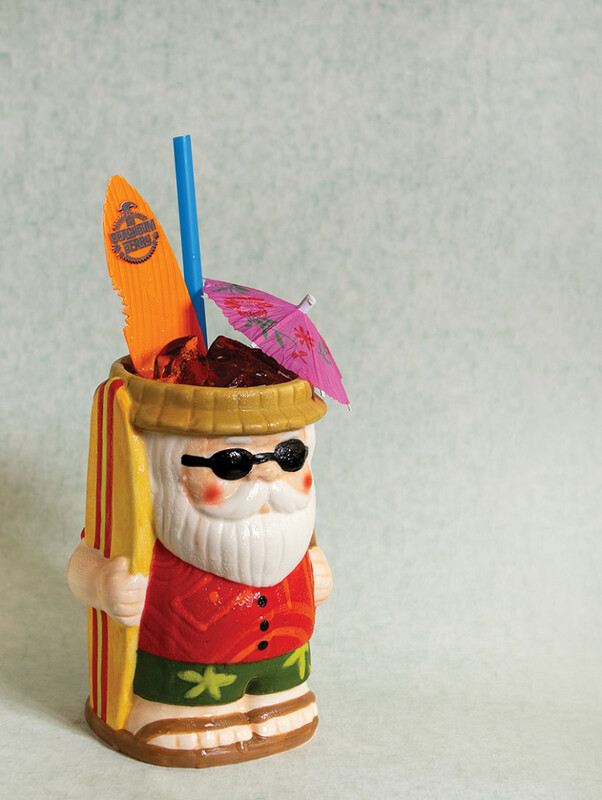 Jeff “Beachbum” Berry, noted author and proprietor of Latitude 29 in the French Quarter, applies his Tiki focus to the festive Season now at hand. Shake with cubed ice. Strain into glass. Add cubed ice to fill. Combine Nutmeg Syrup and Ginger Juice. Bottle and store in fridge. Lasts up to 2 weeks. Shake bottle before using. 1/2 oz. (level tablespoon) ground nutmeg. Bring to a boil while stirring until sugar dissolves, then remove from heat and let cool. Strain through double-layer cheesecloth. Store in fridge. Shake bottle before using.